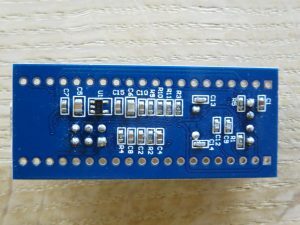 This page contains my experiences with “generic STM32F103C” boards. 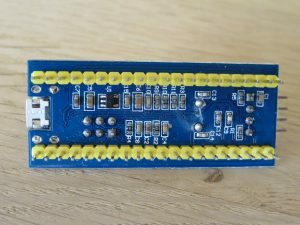 The only difference between them seems to be that the USB connector on the Banggood board is soldered a little more robust. 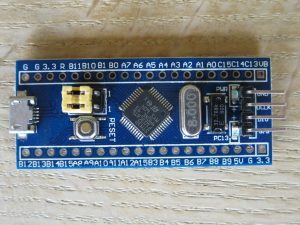 The boards are what the stm32duino forum calls “blue pills“, except for the USB connector differences and the voltage regulator. On both my boards the U1 voltage regulator has “DE=A10” printed on them, which if I’m correct would make them RT9013-33PB 500mA 5v -> 3v3 LDO regulators. 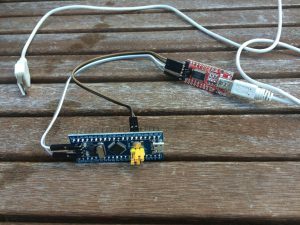 The usb pull-up resistor from PA12 to 3v3 is 10k. This schematic from vcc-gnd.com is almost the same as the Blue Pill boards, except for the R10 usb pull-up resistor. Running Arduino on the boards is supported, but they don’t ship with a bootloader, only a small test program that flashes the PC13 LED. 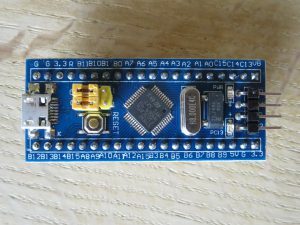 To install Arduino support for the STM32 boards, follow Roger Clarks Arduino installation guide. 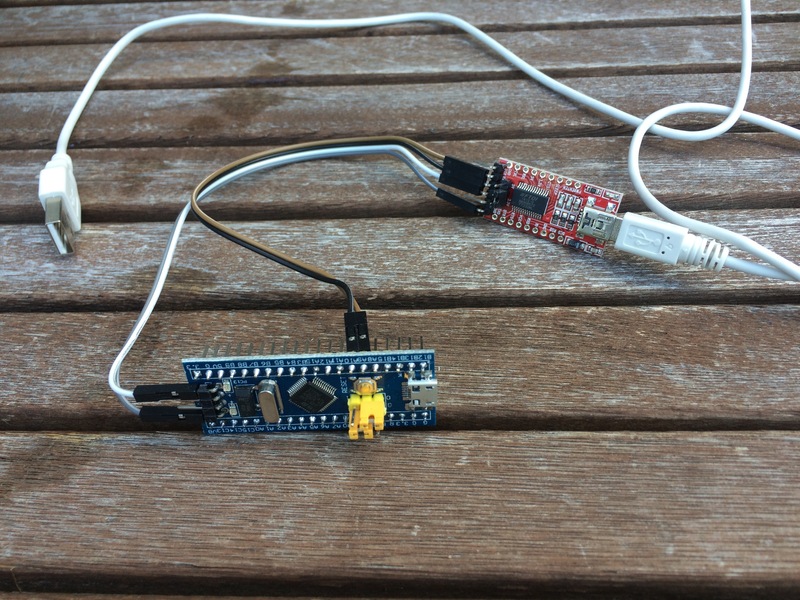 Using a serial connection, a program or a usb bootloader can be transferred to the board. Board now flashes PC13 LED 6 times quickly, then continues flashing slowly indicating the boot loader waits for a program. See github.com/rogerclarkmelbourne/STM32duino-bootloader for more information on the bootloader.